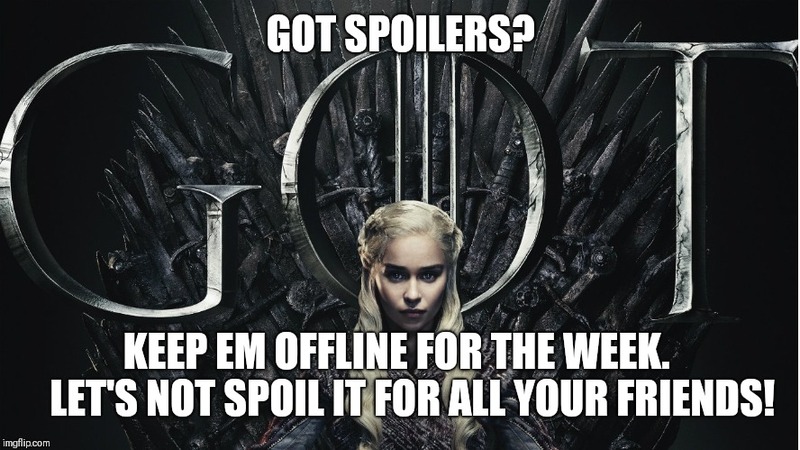 GOT SPOILERS? KEEP EM OFFLINE FOR THE WEEK. LET'S NOT SPOIL IT FOR ALL YOUR FRIENDS!